Badly damaged wheels. 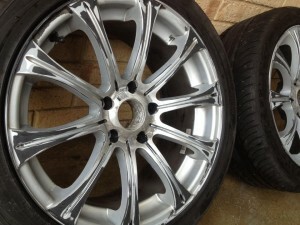 An example of Perth alloy repair work. 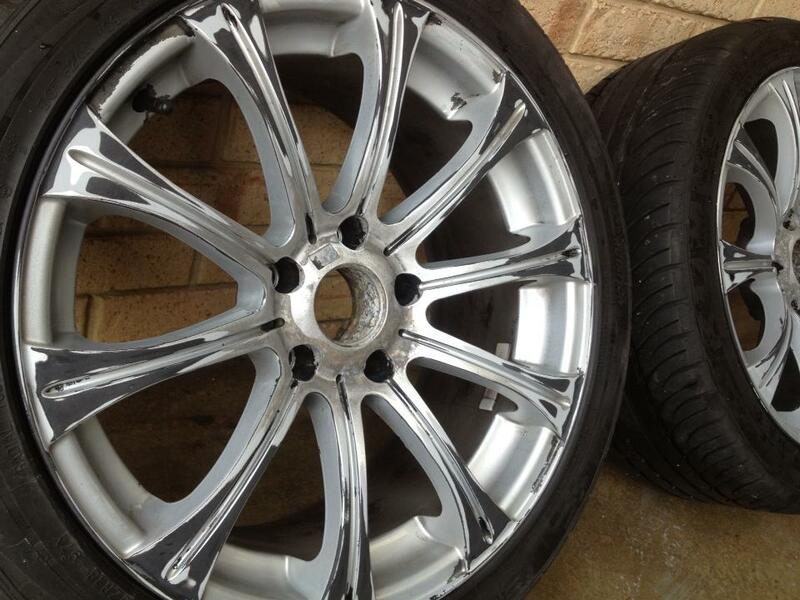 We took on a rather extensive wheel repair job last week in Perth. We don’t normally do such a big job, but this is a fine example of what can be achieved with SMART Repair techniques, so I’ve decided to share it here. We originally took this job on because the extent of damage was not clear from the original photos sent to us for a quotation. We had booked the job to be finished before 2.30pm. We had to put more hours into the job than expected and also had to extend the deadline to 6pm. Despite this setback – and all said and done – we are super happy with the results… and it was still achieved in a single day! 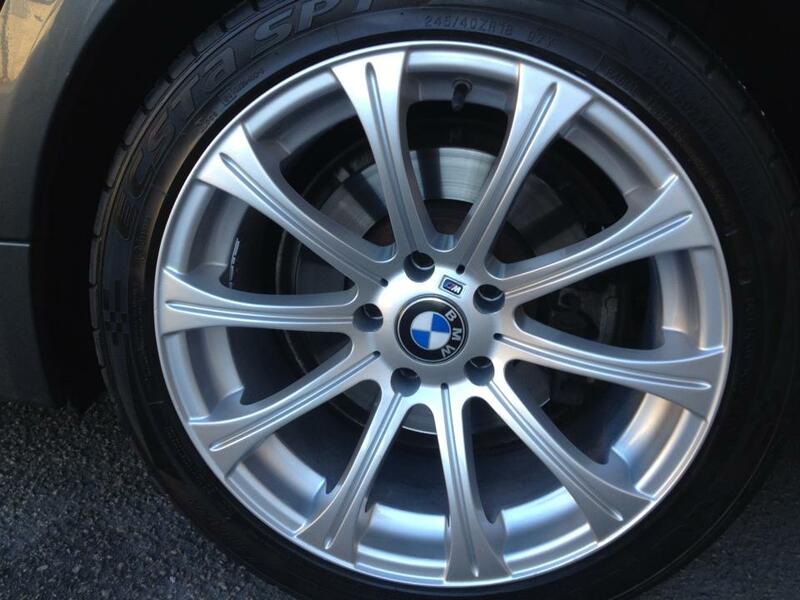 Whether you have a single wheel or a full set of wheels, we can refurbish your wheels in a single day. We come to your place, or we can also arrange a workshop location if you prefer. Simple SMS photos of your wheels, or email the photos to us so we can give you a quote. Remember to send us a photo of the worse wheel, plus your location, so we can give you an accurate wheel repair quote and allow the proper amount of time for your booking.